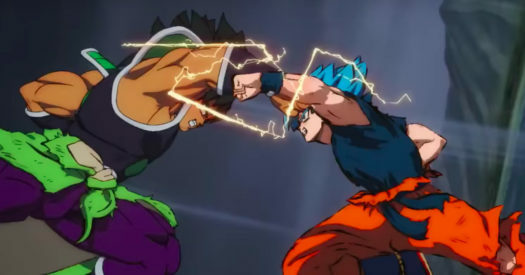 Dragon Ball Super: Broly was an amazing action packed movie that I’ve been waiting for ever since seeing advertisements on the internet in mid-2018. 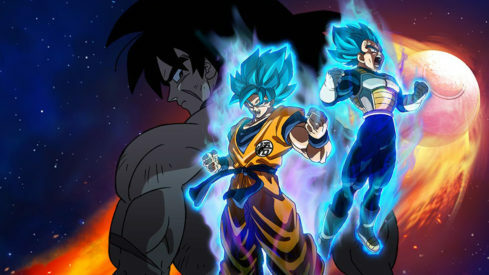 It is a retelling of the story of one the franchise’s most badass villains, Broly. A powerful saiyan who was born to be a low-class warrior, BUT he had an immense power during infancy that surpassed those in the elite rankings, as well as royalty. Due to fear and insecurity, King Vegeta tried to dispose of Broly and his father. This turns out to be a failure and as the saying goes, “what doesn’t kill you, makes you stronger.” As all fans know this boy returns as an adult- used by his father to exact revenge for their attempted murder/exile. I knew the movie was going to be great. However that word barely describes what I felt as I watched all 120 minutes of the movie. The animation is slightly different due to the use of CGI. It is spectacular to watch. As usual the action is superb since it is paired the CGI, making the martial arts fighting styles and energy-based attacks look beautiful and stunning. The battle taking place on Earth in an arctic area turned volcanic was a good change compared to the usual wasteland, interplanetary or space battle . Also, it feels like the stakes are higher knowing full well the protagonist has to win and failure is not an option. The plot is also very believable. Since the movie is mostly focused on action, I was hoping the story wouldn’t be too cheesy and lack detail. To my shock everything was well connected and believable. There is some humor that the dragon balls were gathered for flamboyant wishes by both the supporting character Bulma and the antagonist Freiza. The former wanting to look five years younger while the latter wanted to increase his height by five centimeters. Funny coincidence that both characters were using the number five as a limit so that changes in their physical appearances would be natural. 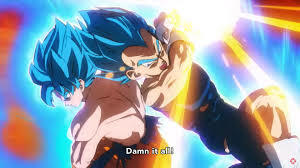 Finally, character development: since the story is going to be canon, it focused on Broly instead of the protagonist knowing they wouldn’t have too much progression, aside from creating Gogeta via fusion dance with Goku and Vegeta. Compared the original 1993 version, the new canon Broly is so much better than I hoped. Unlike the original version, this new Broly has a personality and a kindness paired with his savage nature. Also, like his old counterpart he is like a wild animal, but with believable reasons. Unlike the old 1993 version-insane due to the broad backstory of his hatred of Goku who indirectly tormented him through crying when they were infants and later being stabbed and almost killed- we never got an explanation as to what lead the old version to be unstable, cruel and insane. 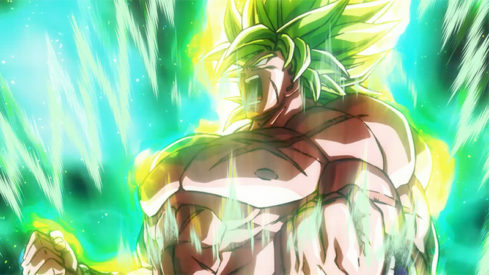 The new canon Broly is a savage warrior born with immense power in his body and not properly able to control it. Additionally, with his father raising him to be a weapon and not a person due to his obsession of revenge for their exile, he didn’t have a chance. 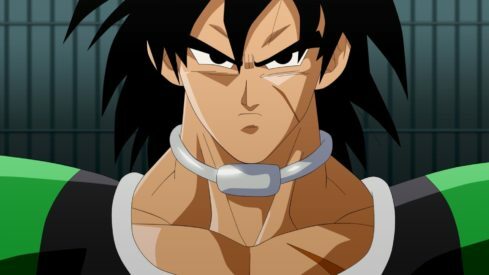 His father even put a shock collar on Broly’s neck like an animal and barely taught him social skills. As a result, it was difficult for Broly to befriend others once reentering society and interacting with people other than his father. Despite this he still remained loyal to his father and loved him. This is a tragic situation for anyone raised under such circumstances. I could relate to such a character and found myself rooting for him to miraculously survive despite the rampage and destruction. Power and ability wise, what makes Broly awesome is that he isn’t an OP juggernaut at the beginning of the main battle. Besides using brute strength he can adapt during the heat of battle. During his fights with Vegeta and Goku he learns their moves with each minute he fights against them and knows how to counter them. 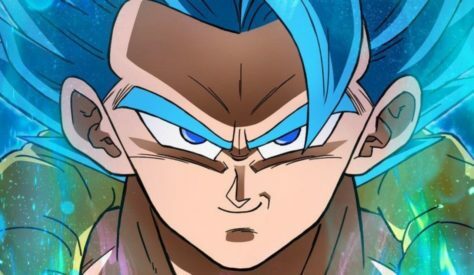 Also, with every beat down he becomes stronger and enraged, enabling him combat and beat them in their super saiyan god and blue forms while he’s in his base form. Once he achieved super saiyan form, Broly was an unstoppable force of nature and forced Goku and Vegeta to fuse together to create Gogeta. Making it an epic battle that kept me on the edge of my seat. This was an excellent movie and worth watching late night before an early morning work shift. In the beginning, I was skeptic of the advertisements, figuring Toei Animation just wanted to beat a dead horse and was running out of ideas on how to continue the series after the Tournament of Power Saga. But after viewing more and more advertisements on how they were canonizing and creating a new Broly I was full of excitement. As mentioned earlier, I was on the edge of my seat as the movie progressed. Not only did they do that but they canonized Gogeta in the dragonball universe. I hope to see more of him in the future! Although I suspect I might be asking for too much and I plan on seeing this movie a couple more times. There are probably details I missed, and since there are sightings of a possible new super saiyan form hinted in the movie, I’ll give it another go. I can’t wait see how they will add this into the canon universe via series or another movie. If they do make another movie, I doubt it will succeed this current one. At this point all I can say is Toei Animation, keep up the good work. For this movie had a power level over 9000! **This Review expresses the opinions of the writer, and is not reflective of Midtown Comics’ opinions.